How to I dispose of old PCs and IT Equipment in a data-secure, green minded and cost-effective manner? Simple, contact ASR for Recycling in Atlanta! Every PC, notebook and server sold today needs to be thought of in terms of asset management. IT managers need to consider asset recovery for each new install including monitors, printers, keyboards, external storage and networking equipment. If you turn over your hardware every 3 to 5 years, that could mean a landfill of potentially hazardous waste. It could also mean valuable corporate data and personal data just laying out there. Dell charges $25.00 per item for disposals. ASR believes that is shocking as we provide the same service for a very low fee…just to cover the DOD standard data wipe process, if required. Here is another option for you. 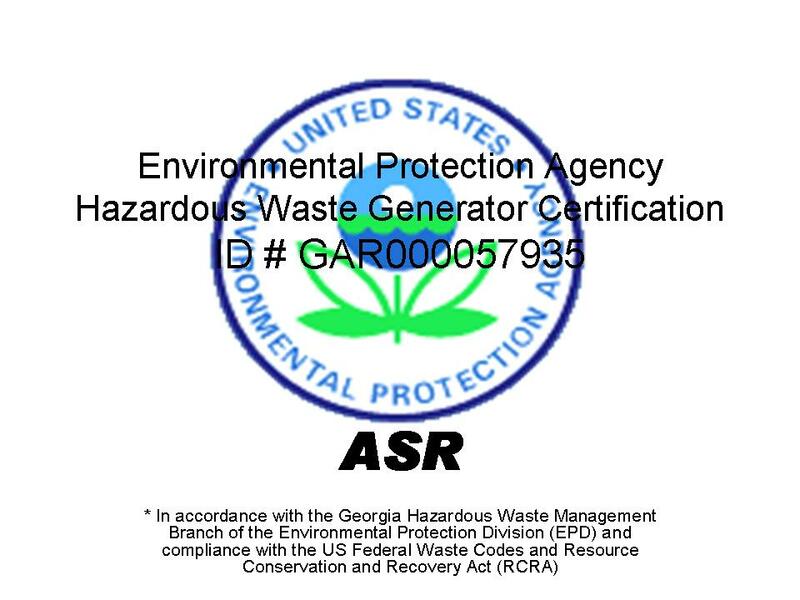 Clients regularly drop ship their old equipment to ASR as we are an EPA certified recycling facility. When a new system comes in, they simply place the old one in the box and ship to ASR. We received our GAR # for this in 2009. Granted, there is new focus on the “Green Computing” approach and environmental stewardship. Other benefits include: data security and full life cycle management. For many IT departments today, budgets for new equipment include for disposals of displaced or cascaded equipment. Contact ASR for those services today. Let us help you protect the environment. You are currently browsing the ASR Healthcare blog archives for July, 2010.